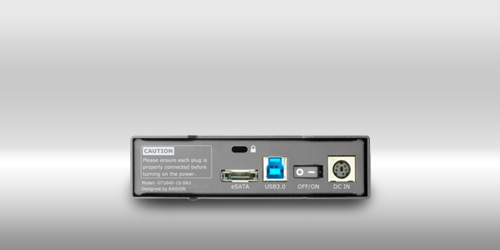 Coming with USB 3.0 transfer interface which is 10 times faster than USB 2.0, GT 1640 is suitable for large file transmission which can lost of waiting time, especially the ever-increasing multi-media files of GB size; in addition, GT1640 supports also eSATA transfer interface that ensures data transmission is always supported with a high transfer rate even if you do not have a USB 3.0 supported environment! Support USB 3.0 and eSATA host interface, you can choose either host for use according to your demand and the environment. GT1640 houses a 3.5" HDD, with its high transfer interface which is suitable for storing large digital files from digital camera, digital video and Blu-ray DVD. Besides, GT1640 supports different operating systems. 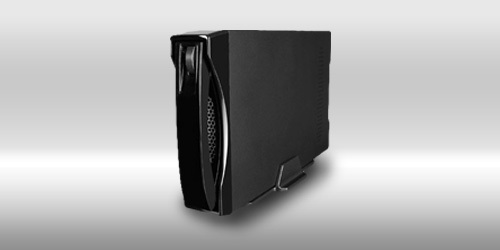 Removable tray design not only enables you to exchanges HDD easily but also facilitates data mobility. 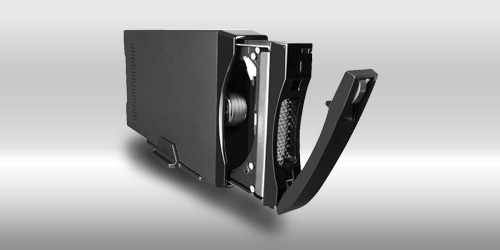 Expansion Bays: 1 x internal - 3.5"
Hard Drive Form Factor Compatibility: 3.5"